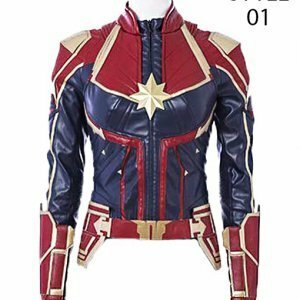 Edge of Seventeen Jacket From the very beautiful movie of 2016 The edge of seventeen we have taken this new multicolored Hailee Steinfeld The Edge of Seventeen Nadine Jacket. 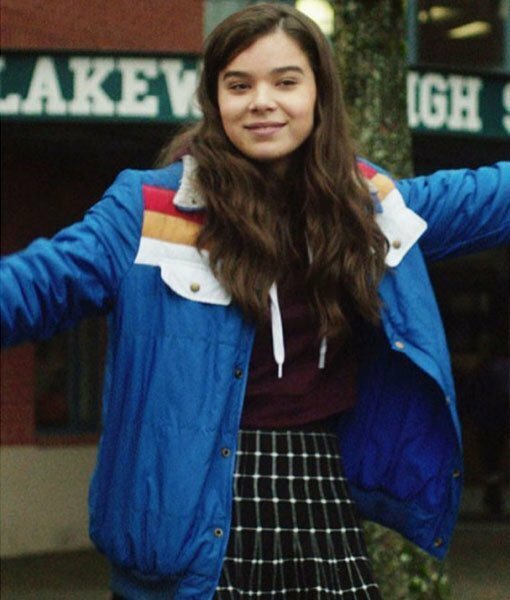 This Jacket was worn by Hailee Steinfeld in the Movie The Edge of seventeen in which she portrayed a role of Nadine in that movie. 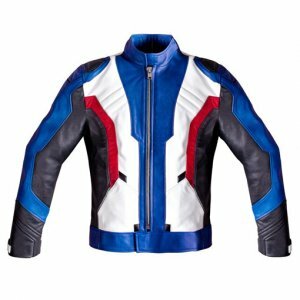 The Edge of Seventeen Hailee Steinfeld Jacket is made of with premium quality of polyester fabric with comfortable viscose fabric in inner of the jacket. 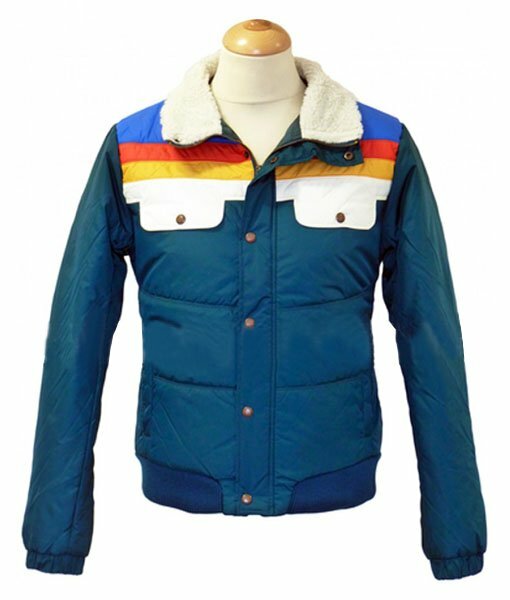 It has two buttoned flap chest pockets, two waist pockets and two inside as well and front has snap-tab button closure and white shearling fur used in collar. You can wear this attire as a casual jacket and in parties, clubs, movies and more. Hailee Steinfeld portrayed the lead role of Nadine in the drama The Edge of Seventeen and its story based on humor. Nadine jacket stitched according to your dream to prominent your persona. 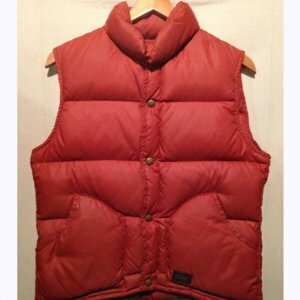 Its external side comprised of a polyester fabric and lined with fur material. Hailee Steinfeld jacket featured with shirt style collar and buttoned cuffs to increase its beauty. Rib knit hemline and two flap pockets on the chest make it more appealing. 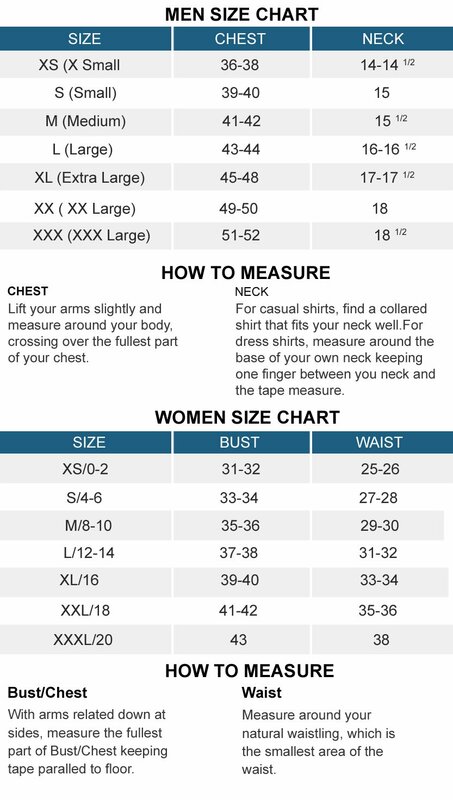 Completely satisfied with d product… very good quality and amazing look… worth the money… always go for one size large … mine was L but I ordered for xL.. it fits very perfectly..!! I was in real hurry as we planned a trip with my family. It was on short notice that we made the plan and we got our seats booked and visa arranged in all this exuberance I completely forgot to see what I had for myself. Obviously being a girl I cannot wear my old winter’s wear especially when we are going on vacations in Paris c’mon I need to post my pichaas after all. When I checked my wardrobe I got a panic attack because my jacket was not that well to take for a holiday. I did not know what to do and so I went shopping all day but could not find anything up to my expectation I mean there were beautiful jackets and coats but I needed something different, you know like the all the girls want to be. 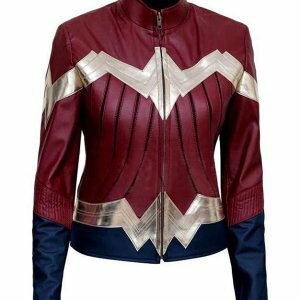 I came home disappointed when my neighbor told me about this site; I cannot tell you how thankful I was to her when I got the parcel of this Edge of Seventeen jacket that I ordered for myself. 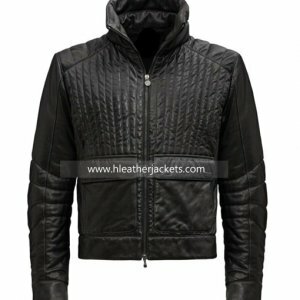 What colors, what perfect size, what material and what an inner comfort this jacket has that cannot be explained through words. I am really happy to see such kinds of online shopping sites that provide what they promise. Good luck people. Hey! This is first time I am ever writing anything for any online site. What made me write here is the fact that you made a satisfied customer this time. 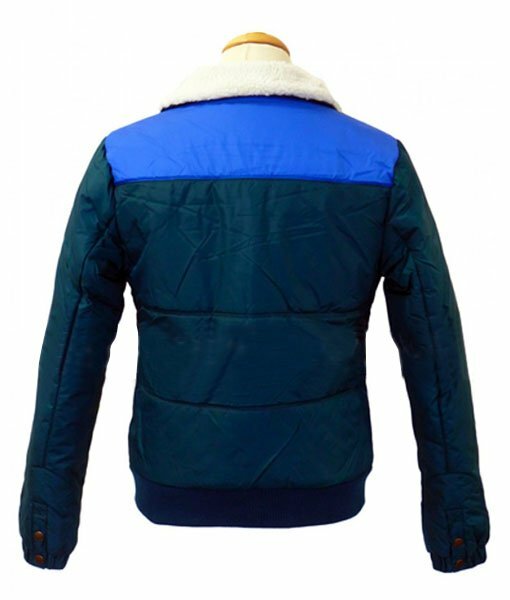 I ordered this blue color jacket and I bought it because I love the shades of blue. Frankly speaking I was expecting it to be a little different than what you have shown in the image on your website but when I got it in my hand I must say I was delighted and highly impressed. 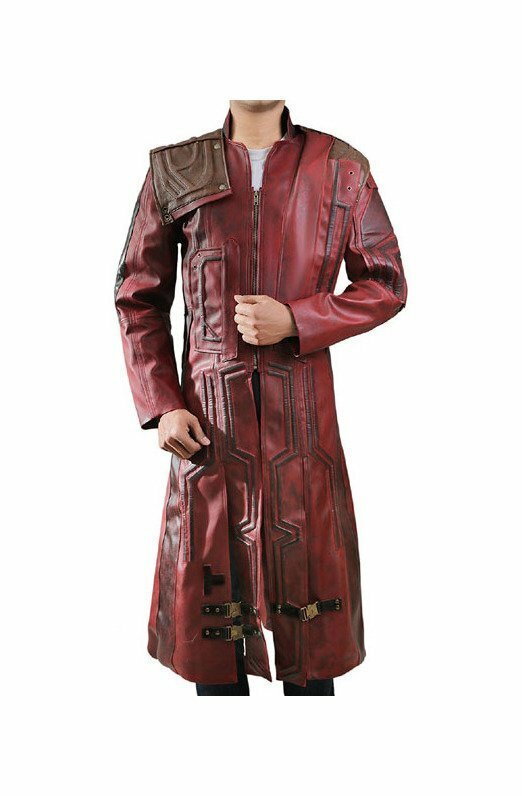 I ordered the small size because I am not fat but yes I am tall so I was a bit concern about the length of the jacket, but that was also accurate if not perfect. Overall the jacket looked too good on me; I wore it at the birthday party we had in our backyard the birthday was of my niece and we actually had quite a few guests at our place. All of them literally everyone said that I was looking good that day and the color blue really suited me I got so many praises and who doesn’t like to be liked. 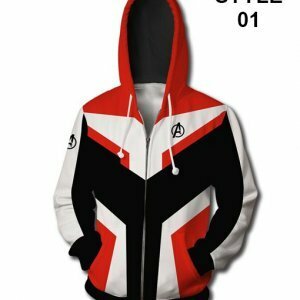 I am surely going to order many other apparels from your website. Keeping in mind that I am a shopaholic I make sure that whatever I purchase I do it carefully because when I don’t get the desired output that puts me off really bad; being a shopaholic I can shop online offline from any market or shop but only if that item is up to the mark. I recently got to know about your web site through one of my office colleagues, I saw her wearing a satin blue color jacket and that really grabbed my attention when I asked her she told me that it was an online product and the providers operate worldwide and I was quite impressed. For a moment I thought how come I don’t know any such site how come it didn’t cross my sight; well when I returned home from office that day I logged in to visit your site and the overall appearance of your site is quite impressive I must say. 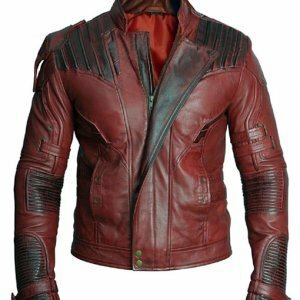 After spending a little time checking your site I came to this page and this lovely jacket got my attention. Without the other second ticking on the clock I was done with ordering it. I got it in no time and I highly appreciate the way you have manufactured your product. Thanks people for providing us with so much care and respect through the provision of your outclass wearable.